His public address announcing included the Seattle SuperSonics from 1968 to 1970, Washington men’s and women’s basketball from 1980 to 1988 and national AAU track championships and the Olympic Trials in track in 1972. Belcher had a few national stints as well, working the 1964 Rose Bowl telecast with Lindsey Nelson. 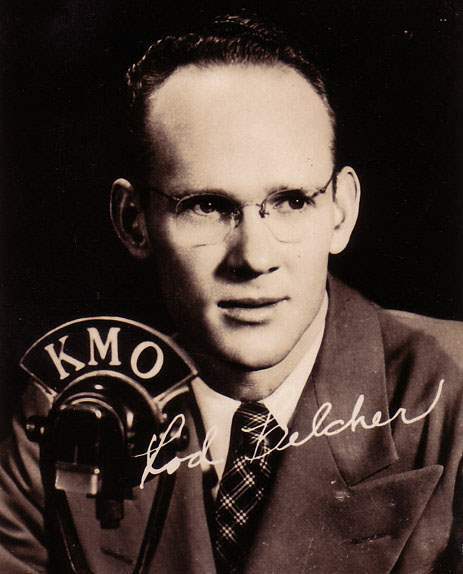 In 1950, he was the radio voice of the San Francisco 49ers, although with a different name. The 49ers at the time were sponsored by a beer company, which didn’t think the name “Belcher” would help sell the product. Rod’s middle name is Hugh, so for that year with the 49ers, he went by Rod Hughes.